Many decisions arise when building large ERP applications that can impact how much the application can help the business run more smoothly. Choosing the correct search platform is one of these that often goes overlooked. Whether the end user is querying the system for a product, customer, order, return or web page, you need to have quick and relevant results. Search functionality is used extensively by end users and they are accustomed to the time and quality of results from Google or Bing. To address enterprise search requirements, one option is the widely accepted framework Apache Solr which is a popular, blazing fast open source enterprise search platform from the Apache Lucene project. 1. Quick and Easy to Deploy. Being open source it is easy to download, install, and configure. It also comes with a pre-configured example to help getting started. 2. Scalable. Solr scales by distributing work to multiple servers in a cluster. 3. Optimized. Solr can execute complex queries really quickly. 4. Relevant Results. Solr is capable of returning you the most relevant results to each user query. 5. Dedicated Community. Top class community support which assures a quality project. We could list many more features, but in short, using Apache Solr can help you give a rich enterprise search experience to your users. As you start exploring Apache Lucene/Solr you will find more and more reasons to choose this search platform. 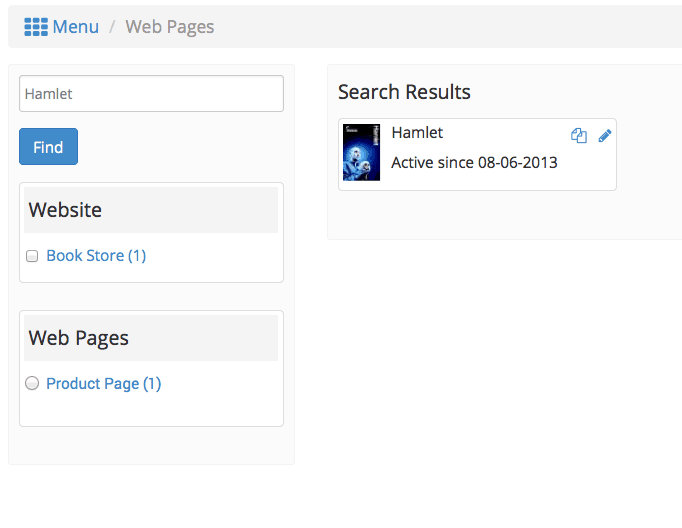 You can find out more about this enterprise search platform on the project’s page here http://lucene.apache.org/solr/. In an upcoming post, we will see how can we make Apache Solr work with the Apache OFBiz framework to leverage the search capabilities Solr is offering.